Home » Stone » Lueders, Sea Fossil R.B. This specimen is a minimally fossiliferous limestone. 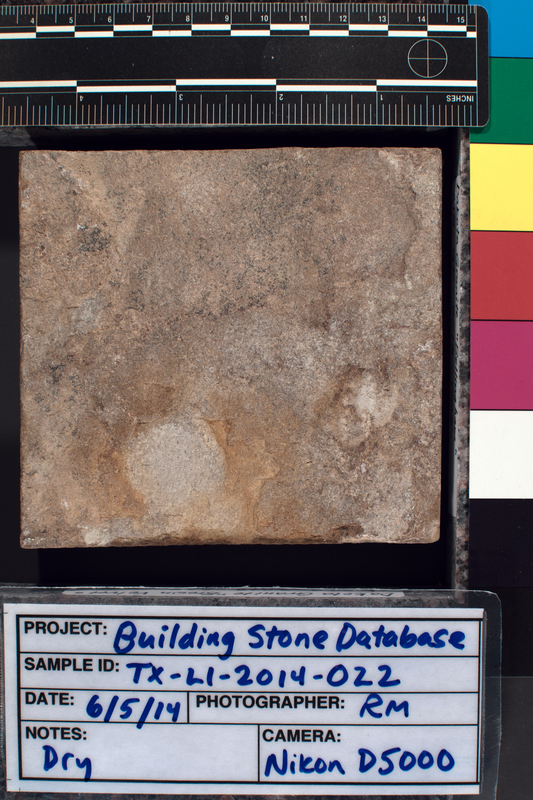 The limestone is grain supported and has a predominantly micrite cement matrix. These criteria define the limestone as a packstoneAllochems comprise about 65 percent. Allochem composition is approximately 55 percent peloid, 25 percent bioclast, 15 percent ooid, and 5 percent intraclast. 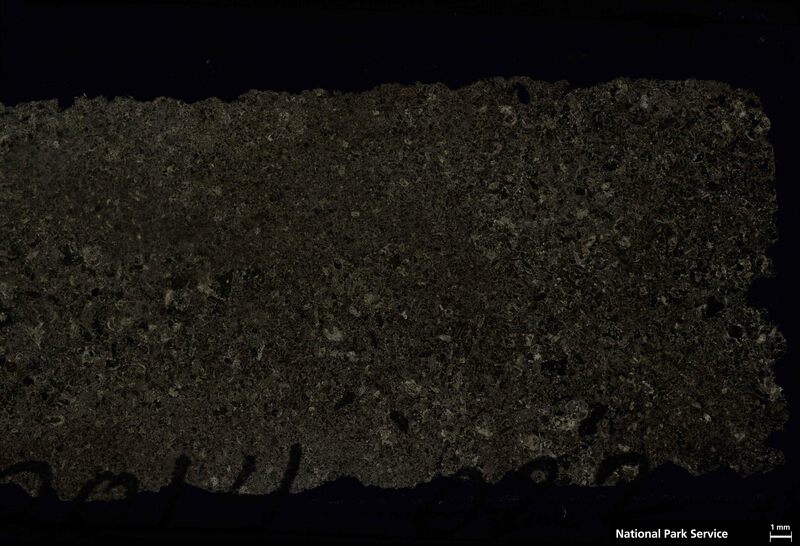 These estimates indicate this specimen is a sorted biopelmicrite. Identifiable bioclasts are mostly uniserial forminifera and highly rounded unidentified fragments. One well preserved univalve mollusk is preserved with a maximum dimension of .75 mm. Foraminifera have a maximum dimension of .4 mm. 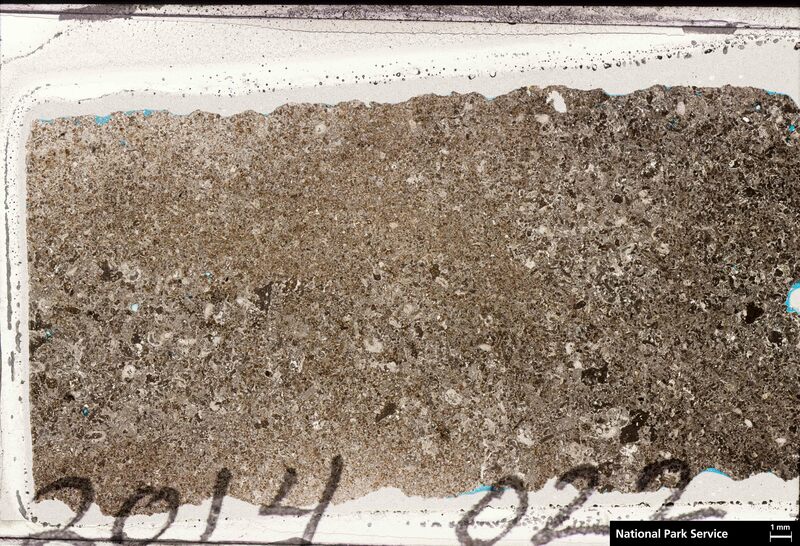 Unidentified rounded bioclast fragments have a maximum dimension of .8 mm, many with micritic envelopes. Peloids have a maximum dimension of .25 mm, a minimum of .08 mm, and a modal range around .15 mm. Ooids have a maximum dimension of .2 mm, a minimum of .08 and a modal range around .12 mm. Intraclasts have a maximum dimension of 1.35 mm. Collophane is very rare and has a maximum dimension of .6 mm. Calcispheres are also rare and have a maximum dimension around .12 mm. Iron hydroixdes form the core of some ooids and also is present in mouldic voids. This is visible in the hand specimen by a light yellowish color. Extant voids in the specimen are very rare and have vug morphology with a maximum dimension of .5 mm. There is some variation in the degree of sorting and allochem/intraclast composition across the slide. 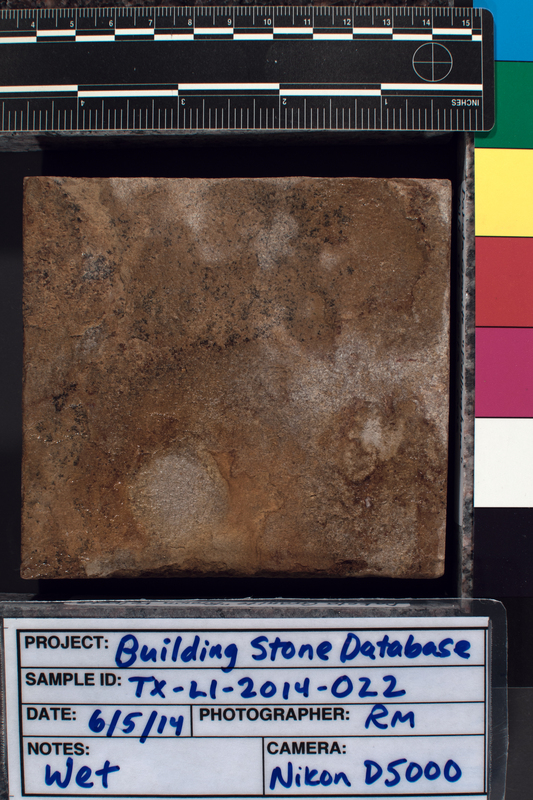 This reflects minimal sedimentary banding visible in the hand specimen. Compaction prior to lithification appears to be minimal.